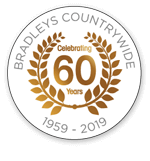 Bradleys Countrywide has been established in Commercial Lettings and Management since 1959. We are proud to be a professional office with an experienced team headed up by partners Lee and Jeanette Chambers. We specialise in management throughout South Essex and deal with all types of property including Retail, Office and Industrial. Agreements and Leases that are prepared to the highest standard of current legislation, including all necessary notices.